Comments Off on Judicial Fellows Programme at International Court of Justice, Netherlands. Applications for the 2019-2020 Judicial Fellows Programme is invited by the International Court of Justice (ICJ). The Programme was established in 1999 to enable recent law graduates to gain experience working at the ICJ. To improve participants’ understanding of international law and of the Court’s procedures by actively involving them in the work of the Court and allowing them to build on their experience under the supervision of a judge is aimed by the International Court of Justice (ICJ). It is considered as highly selective programme. Up to 15 participants a year are accepted by the court– not more than one from each nominating university. Candidates who have excellent results in their law studies, and who have studied, published or worked in international law are looked up by the court. Candidates will usually be in the early stages of their legal careers (e.g., within three years of graduation). 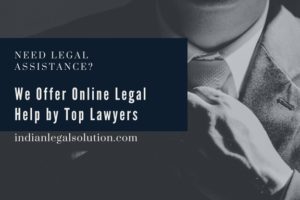 Some have practical experience in private or public practice, including work at another court or international organisation, and/or post-graduate studies in international law. The Court seeks diversity of nationality in making the selection. While it is possible to nominate a single candidate, the Court encourages universities to propose more than one. Universities are also strongly encouraged to limit nominations to candidates who have excellent results in their law studies and who have demonstrated an interest in international law through their studies, publications or work experience. Applications from individuals are not accepted by the court. Universities interested in submitting applications should follow this link. The deadline for the submission of applications is 8 February 2019. The Court is expected to reach its final decision in March/April 2019. Nominating universities will be notified accordingly. Queries may be directed to the Deputy-Registrar of the ICJ at the email secretariatdeputyregistrar@icj-cij.org.